What do you do when the temperature in Farmers Branch is 100+ degrees and your A/C suddenly breaks down? You call Cote’s Mechanical right away for service. Our company is proud to offer 24-hour emergency repair services on weekdays and weekends for customers in the area. We also offer installation for new systems and maintenance to keep HVAC systems running properly. At Cote’s Mechanical, our customers in Farmers Branch know that we can be relied on for prompt service. We offer our customers a free estimate for all new heating and cooling system installations and free service calls with repairs. 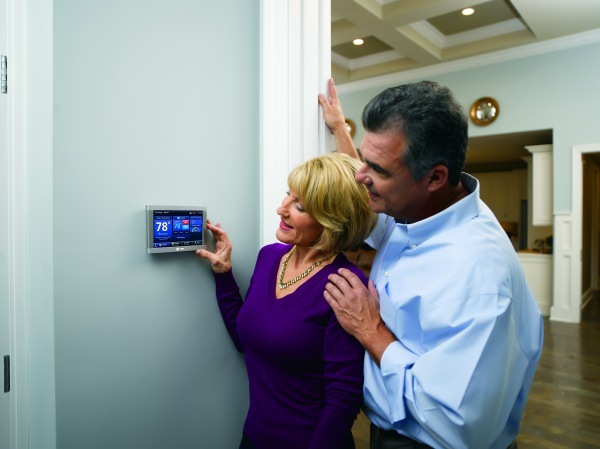 Whether you have a ductless air conditioner, heat pump, or traditional gas furnace, our team knows just what to do to get your HVAC system working right. When you have an HVAC unit that has reached the end of its life or one with serious damage, you can count on Cote’s Mechanical to help you select a more efficient one and get it installed. If your current system has minor problems or major ones that need immediate repair, you can depend on our licensed technicians to get the job done. Our company provides air conditioning and heating unit installation and repair in Farmers Branch for residential and commercial customers. Cote’s Mechanical also offers tune-ups and maintenance to ensure that your HVAC system works as efficiently as possible. This reduces wear and tear, along with your heating and cooling bills. We also offer replacement services for HVAC systems, as well as ventilation and attic insulation. Cote’s Mechanical is proud to have a history of providing customers in the Farmers Branch area with exceptional customer service. Since 2001, our company’s co-owners Cote and Kristi Wyatt have been building an outstanding team of more than 40 employees. Our company growth over the years has helped us provide an increasing number of customers with prompt service. Our customers have been highly impressed with the service our technicians have provided. Those who have lost air conditioning in the middle of summer love that our technicians were able to come to their homes fast to get their A/C back up and running. Customer reviews frequently mention that our technicians showed up right on time or even before they were expected and were able to get the work done on schedule. Cote’s Mechanical has also gained the notice of national organizations thanks to our dedication to great customer care. Angie’s List gave us a Superior Service Award in 2016, and we have also been certified as a Trane Comfort Specialist after meeting their strict standards. The Air Conditioning Contractors of America (ACCA) has accredited our company, and the Better Business Bureau has given us the highest rating of A+. We have also been certified for North America Technician Excellence. Roughly 37,000 people have made their home in Farmers Branch, which offers convenient access to major cities. Residents can drive to Denton in about 30 minutes via I-35E N or to Dallas in about 25 minutes on the Dallas North Tollway. Fort Worth is about 35 minutes away via TX-183 W.
Those who live in Farmers Branch have many local parks to visit when they want to spend time outdoors. Farmers Branch Historical Park is both a museum and outdoor park featuring vintage baseball memorabilia, tours, and fun activities for kids. Gussie Field Waterworth Park holds special events, including the Celebration of Roses. You can explore wetlands and upland forests at John F. Burke Nature Preserve, and stock up on fresh fruits and vegetables at Farmers Branch Market. Other options include ice skating at Dr. Pepper StarCenter or joining Brookhaven Country Club for golfing and more. For those who want to give back to their community, Farmers Branch offers many volunteer opportunities. These opportunities can be found at the Public Library, Animal Shelter Advisory Committee, Historical Preservation and Restoration, and the Public Art and Culture Ad Hoc Committee. Several other Boards and Commissions in the city also offer chances for residents to help out. If your HVAC system breaks down, don’t hesitate to contact Cote’s Mechanical for service. Our experienced technicians provide timely repairs, as well as installations and other HVAC services for residential and commercial customers in the Farmers Branch area.